The NPA was founded in 1936 to promote and protect the unique values and shared interests of retailers, manufacturers, and suppliers of natural nutritional foods and products, and today is the leading trade association for the growing dietary supplements industry, an estimated $45 billion-dollar market in the U.S. We are the oldest and largest trade association for this segment, representing over 1,100 members that range from many small and women-owned businesses to national retailers who help make, sell, distribute, and develop new and better products for Americans who are increasingly interested in using natural products over chemical and synthetic alternatives. We are proud to say, unequivocally, that the state of the natural products industry is strong. In recent years the natural products industry has transformed into a major engine of economic growth, customer satisfaction, and job creation in the U.S. Today, America is the undisputed global leader in natural products and dietary supplements. Demand for natural products is at an all-time high as more Americans are looking for natural ways to support their health and lifestyles. According to recent industry research, three out of four U.S. adults say they’ve used a vitamin or mineral supplement in the past year. In 2017, the natural, organic and functional food and beverage markets combined sales reached $200 billion. The vast majority of Americans are using nutritional supplements and natural products to support their health, and it is a very exciting time to be in the business. Members and executives of our Association are generally very satisfied with the current administration’s approach to support strong and sensible regulation and to encourage investment and risk taking. The broad tax reform act, in particular, has allowed capital to flow toward new research and product development. For example, manufacturers of probiotic supplements developed technology to isolate new probiotic strains and deliver their products in a variety of formats. As a result, probiotics were the bestselling ingredient in their product categories in 2017, according to leading industry analyst SPINS. The natural products industry is heavily regulated, spending an estimated $1 billion annually complying with federal laws and regulations. For the past two years, we have worked with the Administration to improve regulations so that they continue to protect consumers while also keeping costs low. 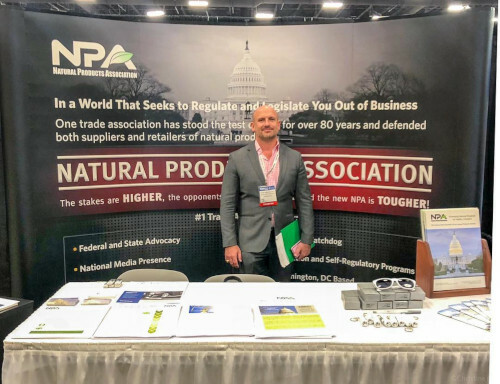 The NPA is the leading association for filing expert testimony on a host of regulatory proposals and is repeatedly sought out for its analysis of complex issues. NPA’s leadership, along with its active grassroots network organized through saveoursupplements.org, recently brought the Food and Drug Administration (FDA) to delay its Nutrition and Supplement Facts Labeling rule, saving consumers hundreds of millions of dollars. At the state level, we have beaten back onerous and misguided proposals, including one in Massachusetts that would have forced protein powder and other safe products to be sold behind the counter. Our ability to work directly with regulators in Washington is the most effective tool we have to develop smart, fact-based regulations that ensure the U.S. has the safest foods, dietary supplements, and natural health and beauty aids in the world. Despite our support for the Administration’s regulatory approach, NPA and its members do have serious concerns with new tariff proposals that could do serious damage to American leadership in this industry, raise costs for consumers, and stifle innovation. While we share the Administration’s goal to help American jobs and businesses, we have been clear about our view during public hearings and comments that these tariffs would cause significant harm to our industry’s ability to innovate, grow, and meet consumer demand for natural products. For our members, the key issue is whether raw materials are available in safe supply from other sources, and the fact is simply that they are not. China has, and will continue to be, THE virtual sole source on the globe that can handle the large-scale demand of finished product manufacturers in the U.S., and this did not come about organically. On the contrary, China’s role in our supply chain is the result of years of collaboration between our two countries, including the development of quality assurance, safety, good manufacturing practices, and regulatory compliance. In short, we have built today’s positive and proven supply chain, and we want to continue being the primary beneficiary of that hard work. We continue to work with the Office of the United States Trade Representative (USTR) to make these concerns known, and find it promising that we have been able to secure exemptions for key ingredients including glucosamine and sucralose. We remain optimistic that we will eventually be persuasive, allowing us to meet consumer demand as we shift our focus to other top policy goals in 2019. One area of particular focus is preventing dangerous products from entering the U.S. food supply without scientific evidence proving their safety. As the opioid epidemic continues to wreak havoc across the country, it comes as no surprise that people would turn to natural or plant-based solutions. But just because something is natural does not mean it is safe, or that it should be made widely available without going through the normal regulatory process. A good example of this is kratom, a tropical tree native to Southeast Asia that has been linked to overdose deaths and that addiction specialists warn could be making the opioid crisis worse. Kratom is banned in Vermont, the District of Columbia, and five other states for a reason, and NPA shares the FDA’s concerns that kratom, like any other product, should be subject to the same rules that our industry follows. Cannabidiol or CBD is another area that has attracted attention. While CBDs may not present the same safety concerns as kratom, there is still a proven path for these products to come to market, as the FDA recently demonstrated with the approval of Epidiolex, a CBD-based drug approved to treat epilepsy. Responsible companies must go through the regulatory process, ensuring the products that make it to consumers are proven to be safe and reliable. Focusing on kratom and CBD is important, because a large part of our industry’s success is due to a strong federal regulatory regime, significant investment in product safety and quality, consumer demand, and self-regulatory programs developed by the men and women of our industry. Another of our leading priorities is continuing to increase nutrition for all Americans by expanding access to nutritional supplements through federal and state social assistance programs and tax incentives. We have long advocated that supplements be included in the Special Supplemental Nutrition Program (SNAP) and the Women, Infants, and Children (WIC) programs. WIC provides eight million American families the ability to purchase healthy and nutritious foods. With the help of our Members of Congress, we can provide low income women, infants, and children the equal access to vitamin and mineral supplements they deserve. Likewise, allowing American consumers to use Health Savings Account (HSA) and Flexible Spending Account (FSA) dollars on nutritional and dietary supplements is another innovation that could lead to better nutrition, better health, and potentially fewer hospital visits. The NPA is leading the coalition to help pass the Health Savings Act, which makes needed changes to tax laws so that nutritional supplements are treated equally and can qualify for HSA and FSA expenditures. But Washington, D.C. and state capitals are in constant states of change, and we must stay committed to maintaining our current relationships and begin building new ones. Policymakers must know that our industry is safe and strongly-regulated. They must understand that Americans depend on today’s products and are hungry for more new, natural alternatives in their lives. And they must realize the positive role our industry plays, not just for the health of millions of Americans, but also the health of the U.S. economy and good, high-paying jobs. 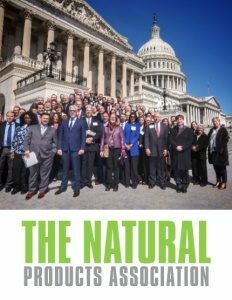 This is our charge at the Natural Products Association, and we look forward to engaging in these and other critical public policy debates in the year ahead. 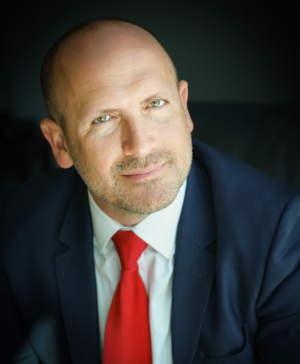 Check out this handpicked feature on The National Association of Residential Property Managers.